Phong Nha Explorer Travel is the travel companies with tourism brand is proud Explorer brand leading travel companies in Quang Binh, as an official member of Vina Explorer Travel Group – destination management companies in Vietnam tourism products are meticulously designed and selectivity towards the true value of a cruise vacation for each feature is a unique experience. Why choose Phong Nha Explorer Travel? 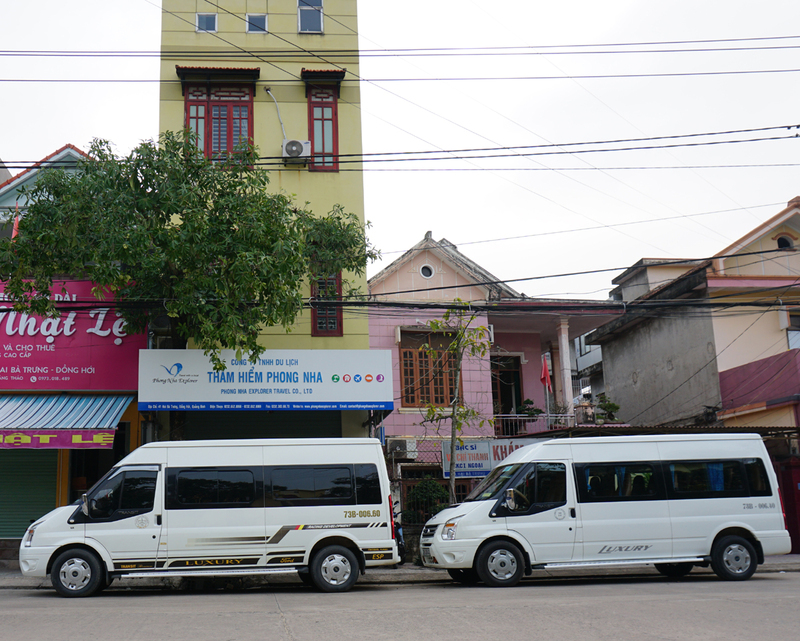 Locality: Phong Nha Explorer Travel is proud to be breaking local brands. Our team of genuine guides our native not only broad knowledge of every corner and places of scenic beauty in Phong Nha – Ke Bang, Quang Binh, but also the authentic design for each journey of discovery of you. Direct service: The services of Phong Nha Explorer Travel simply direct services, we give you the latest updates as well as quick access to the best deals, the fastest and most efficient in Quang Binh, Vietnam. Own Itinerary: You can design a tour program according to their own way or use the specially designed criteria of us, whether you are just dreaming, we made easily. We know everyone has a unique style while traveling and that’s why we work with you to create a personalized itinerary, that best fits your needs. Best price for the best service: We own a chain of discount services at our region with special deals, helping you save better when using the best service of us. Enjoy the perfect holiday: We take care of every detail from start to finish – Each tour of Phong Nha Explorer is a thematic guide to the depth for travelers to the Phong Nha-Ke Bang and Quang Binh is not only rest but also to explore really.